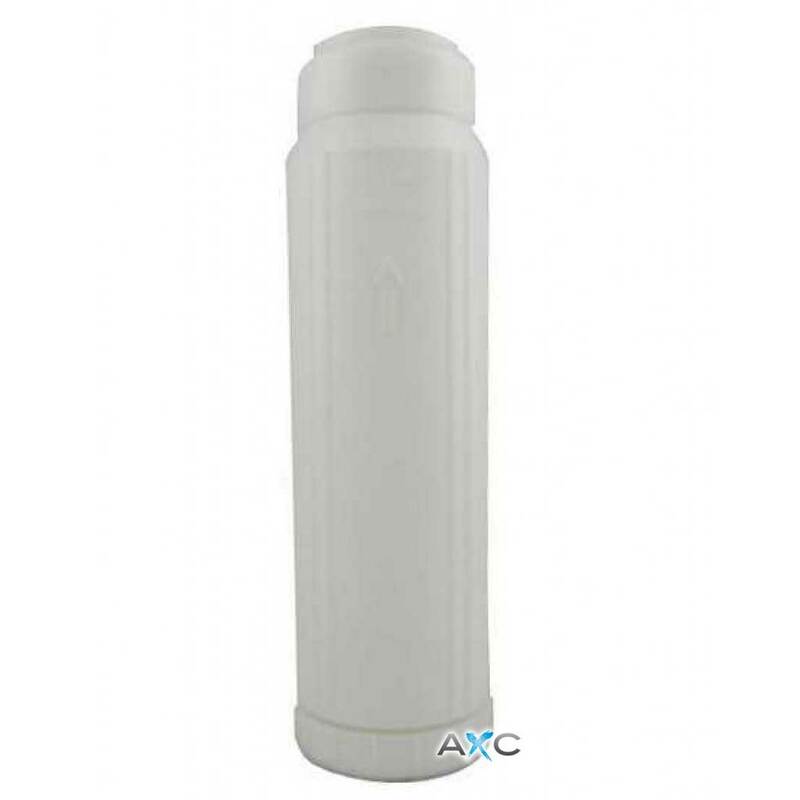 Empty cartridge to be filled with resins or activated carbon, suitable for standard 10'' filter housings. The cartridge is equipped with a screw opening on the bottom. On the inside there are two polypropylene filters to stop the granules. It is employed for small softened or demineralized water production and by do-it-yourselfers. The water softening in small amounts should be done with cationic resins. The residual hardness depends on the incoming hardness of the water and on how much time the resins were in contact with the water. In theory, you can proceed to the resins regeneration using a solution of sodium chloride, but for small amount, it makes little sense. The best technique to obtain demineralized water is to use an osmotic membrane upstream and then using the resin to remove the residual salinity. Empty cartridge filled with activated carbon granules are used where the water is not intended for human consumption, but it must be chlorine- free (such as acquarius).